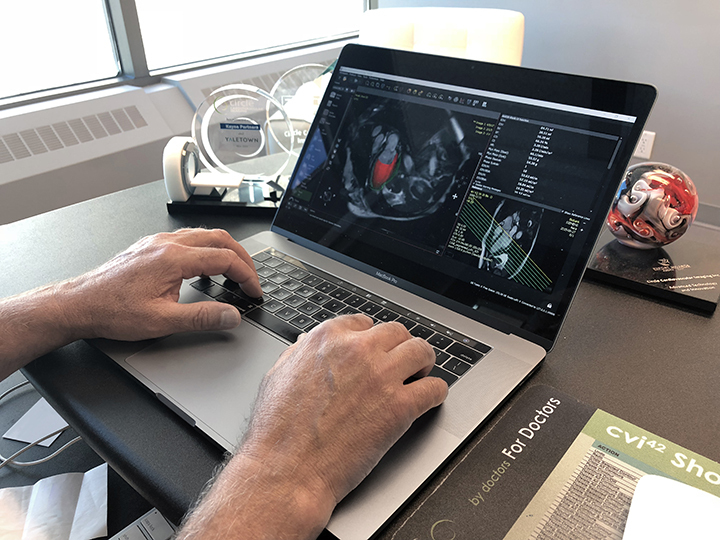 Circle Cardiovascular has developed cvi42, which is a cardiovascular post-processing software used to view and analyze CMR and CCT images in a matter of seconds. It’s being dubbed as the third Industrial Revolution. The combined concepts of artificial intelligence (AI) and the Internet of Things (IoT) – machines and big data simplifying some tasks while taking over others – are changing the world around us. Activities that used to take hours now take seconds. Operations that used to cost billions now cost millions or even thousands. Professions with high-mortality rates are now safer than ever. 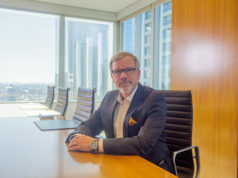 The proliferation of AI and IoT in today’s society, while intimidating to some, was inevitable, especially as we looked to do things, better, faster and more efficiently, says Robin Winsor, CEO and president of Cybera, a Calgary-based not-for profit technology accelerator that oversees the development and operations of Alberta’s cyberinfrastructure. Narrow AI, as Winsor refers to it, is the programming of machines to do individual tasks better than humans. IoT, meanwhile, is about reaching back to grab data that becomes information that becomes knowledge that becomes wisdom – good decisions based on facts rather than just on political ideologies or wild guesses. Many Calgary businesses are already leading the charge when it comes to AI and IoT. Circle Cardiovascular Imaging Inc. is making waves in the health-care industry by using deep learning and big data to provide physicians with the tools to more quickly and accurately diagnose complex cardiovascular disease. The company has developed cvi42, which is a cardiovascular post-processing software used to view and analyze CMR and CCT images in a matter of seconds. Sojoudi believes AI is a game-changer for the health-care industry. Medical imaging is growing; the number of scans is increasing by the hour. Yet the number of technicians trained to read those images has plateaued. AI is giving health-care professionals access to timely information, which, in turn, is improving patient care, he says. “We are seeing improvements that are making a difference between life and death,” says Sojoudi. Meanwhile, Calgary-based White Whale Analytics has dived into the deep end of the data pool and come out in three short years with partnerships in health and wellness, defence, oil and gas, aviation and even a collaboration with the National Hockey League. Co-founded in July 2015 by Peter Guo and Robert Mereau, the nine-person company specializes in machine learning-based optimization solutions. It currently offers industrial-scale cloud-based dashboarding and optimization software, and is looking to deploy a first-of-its-kind AI management consultant capable of natural-language interaction and autonomous problem solving. When it comes to IoT, Guo says businesses get value if they do three things right: collect their data, analyze and extract value from it and then share with others what they’ve learned. That’s where White Whale comes in. Mereau, co-founder, business, adds in the age of information overload, a level of automation can be a good thing – it helps with cognitive processing. In White Whale’s case, they help companies visualize the massive amount of data that’s part of the day-to-day work, which, in turn, helps with mundane tasks. Businesses today cannot be successful moving forward without IoT strategies, says Mereau. He points to knowledge retention as a significant problem as baby boomers continue to leave the workforce – and, in doing so, taking a lot of that institutional knowledge with them. 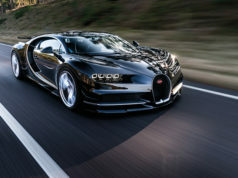 “This where IoT and AI comes in – it’s a way to formalize some of the experiences and learnings from the past so people in the future can quickly learn without having to go through the same linear time scale,” says Mereau, who says the growth potential for White Whale is unlimited – so much so he expects it be a billion-dollar company within 10 years. Steve Liang agrees IoT is unprecedented in its applications. Liang is associate professor at the Schulich School of Engineering at the University of Calgary and founder and CEO of SensorUp, a Calgary-based startup whose mission is to make IoT open and interconnected. He believes IoT can give businesses unprecedented visibility into their data, and, with the proper algorithms in place, the ability to eliminate inefficiencies – whether that’s reducing downtime or improving safety. SensorUp is using SensorThings API’s open standards for a non-proprietary system that aggregates sensor information into one cloud platform. It was a part of Creative Destruction Lab Rockies at the Haskayne School of Business, a seed-stage program for massively scalable, science-based companies. Liang recently returned from meetings with NASA’s Jet Propulsion Laboratory (JPL) and the Department of Homeland Security about the applications of SensorUp’s platform. JPL is already using IoT to collect data on temperatures, gases and other danger signals to predict flashes during fires and to safely guide firefighters. Sensors worn by firefighters wirelessly talk to one another, including a firefighter’s GPS location, heat, presence of dangerous chemicals and gases, drone images and more. “Our role is to aggregate all that data to help predict what is going to happen. And by doing so, we are starting to truly unleash the power of that data,” says Liang. Winsor says AI and IoT is not a distant concept – it’s here today. The Alberta Machine Intelligence Institute at the University of Edmonton is already training its AIs to pass both the Canadian and Japanese bar exams. And jurisdictions around the world are allowing AIs to become directors of corporations. Four years ago, Japanese venture capital firm Deep Knowledge became the first to name an AI to its board of directors. “Does that mean we could have an oil and gas company with at least some of the board made up of AIs that have the ability to make unemotional decisions about how to buy a piece of land?” asks Winsor. “You could have, with today’s technology, a fully artificial oil company that replaces traditional roles. And what would that mean for a city like Calgary? That’s not way down the road. We could put one of those together now.